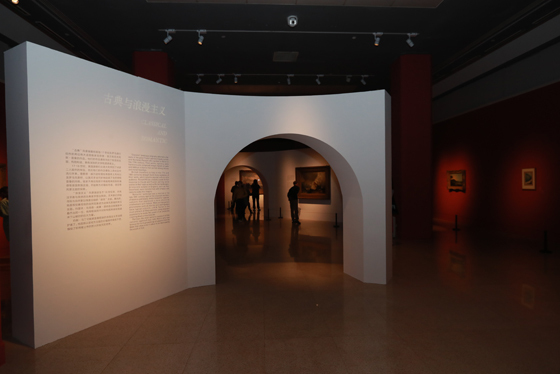 As one of the key projects in China-British cultural exchanges, “Landscape of the Mind: Masterpieces from Tate Britain (1700-1980)” jointly organised by Tate and the National Art Museum of China(NAMOC) will be held at the NAMOC from 12 September, 2018, presenting the development of British landscape paintings over nearly three centuries to Chinese audience. As is introduced by Wu Weishan, Director of the National Art Museum of China, Tate Britain is the first to be built among the four Tate galleries, well-known for collecting and exhibiting British paintings and modern arts all around the world that range from the 15th century to the present day. The National Art Museum of China, as the top gallery in China and an important channel of art exchanges with other countries, has long kept a close relation with Tate. 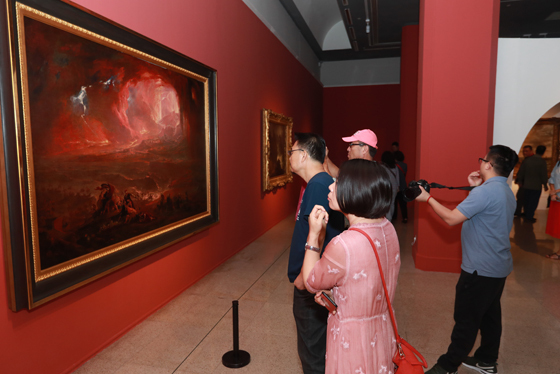 The exhibition “Turner from the Tate Collection” was held at the NAMOC in 2009, receiving a huge response among Chinese audience. This one, “Landscapes of the Mind: Masterpieces from Tate Britain”, is the second cooperation between Tate and the NAMOC, and also an important exhibition project of the International Exhibition Exchange Series of NAMOC, devoted to building a community of shared future for mankind by cultural classics. Art is beyond borders and exchanges should be carried on through times. It is believed that this exhibition will bring Chinese audience another visual feast. This exhibition presents more than seventy British landscape paintings from the 18th century from Tate Britain in a wide range of media such as oil paintings and watercolours, covering various schools from the traditional to the modern.It displays masterpieces of well-known painters including Gainsborough, Turner, Constable, Girtin, Alexander Cozens and John Robert Cozens, and also the Pre-Raphaelite Millais, Impressionists, surrealists and pioneering modernists. The exhibition begins with the great topographical and classical painting masters of the 18th century and moves through the Romantic, Pre-Raphaelite and Impressionist artists of the 19th century to the pioneering modernists of the 20th century. In five sections—“Looking and Dreaming”, “Classical and Romantic”, “Naturalism and Impressionism”, “The Early Modern Landscape” and “The Later Modern Landscape”, the exhibition explains exactly why landscape art has become the central expression of the British visual imagination. Landscape art remains Britain’s most important contribution to the visual arts. Its masters, such as Thomas Gainsborough, George Stubbs, J.M.W. Turner, John Constable, J.A.M. Whistler, Paul Nash and Richard Long, are artists with international reputations. Landscape had originally provided a backdrop for portrait paintings. By 1700 there was a new interest in landscape for its own sake, either as imaginative invention or topographical description. During the 18th century landscape painting began to challenge the supremacy of portraiture, which had dominated British art since the 16th century. From small watercolours to vast canvases, the public had a growing appetite for views of a wide range of landscapes. Artists began to travel widely in Britain and Europe to make images to satisfy the growing taste for both native and foreign scenery. As the British Empire expanded in the 19th century, this taste extended to views of India and further afield. However, the greatest interest among artists and their public was in the British landscape itself – from the Highlands of Scotland and the Welsh mountains, to the fields of East Anglia and the mystical scenery of the West Country. The townscape was also a consistent subject for artists, as the exhibition reveals. During the 20th century British landscape art continually re-invented itself, and the final works in the exhibition show that it is still a potent force, full of new and unexpected possibilities. As is said by Wu Weishan, the Chinese President Xi Jinping’s important ideas and propositions on building a community of shared future for mankind have aroused strong resonance and high appraisal in the international community. This not only expresses the desire of China to develop together with other countries, but also reflects the common aspirations of people all over the world. Culture and art are the bridges of human spiritual communication culture and art are bridges connecting people’s souls. China and Britain, the two cultural powers with profound history and cultural tradition, are both home to splendid art and the art from the two countries remains unique and diversified. The long geological distance can never stop the mutual attraction between the two countries with splendid traditions and the communication between two different cultures. People from Eastern and Western countries share the same passion for nature. Every piece of the works is a showcase of the artists’ boundless love for nature. In this way, it is not only about landscapes in the eyes, but rather, the landscapes of the mind. It is believed that while providing a thrilling visual display, the exhibition will also offer a fascinating story of the wider historical and cultural development of Britain over nearly three centuries, enabling the audience to find a key to interpreting the national destiny in British artists’ depiction of landscape.